This week marked one year since Gawker shut down, a milestone that just happened to coincide with another legal threat posed to a New York media giant. While Gawker's fans and former staff members mourned its demise, Sarah Palin's defamation lawsuit against the New York Times continued to unfold in a Manhattan federal court. In a brief filed on Monday, attorneys for the former vice presidential candidate argued that the Times editorial board "decided to use" the June shooting at a practice for the Congressional baseball game, which wounded Republican congressman Steve Scalise, "as a pulpit to advance their narratives on gun control and political rhetoric." A day after that filing, President Trump delivered yet another withering anti-media screed in a speech in Arizona. It all makes for a chilly environment for those working in the news media. Between the mounting legal challenges and the relentless verbal assault from the White House, journalists may find themselves in a more precarious position than any time before. "These are threatening days for the press," said Floyd Abrams, the attorney who represented the New York Times in the landmark 1971 Pentagon Papers case, in which the Supreme Court ruled that newspapers had a right to publish information in classified documents. "Most obviously, the daily denigration of the press by President Trump takes a toll." Trump hasn't acted on his threats to change the country's libel laws. But Abrams said the president has "helped to persuade lots of people, many already persuaded, that the press is 'fake' and not to be trusted." Trump's insults have helped erode public trust, but lawsuits threaten an organization's bottom line -- an especially frightening prospect in an economy that has seen news outlets of all manner perform layoffs and cutbacks. Lawyers for the New York Times have filed a motion to dismiss Palin's lawsuit, arguing that it falls well short of the standard for "actual malice" that is required in libel cases against public figures, which is defined as knowingly publishing false information or acting with a reckless disregard for the truth. Jed Rakoff, the federal judge overseeing the case, has said he will rule on the motion by the end of the month. 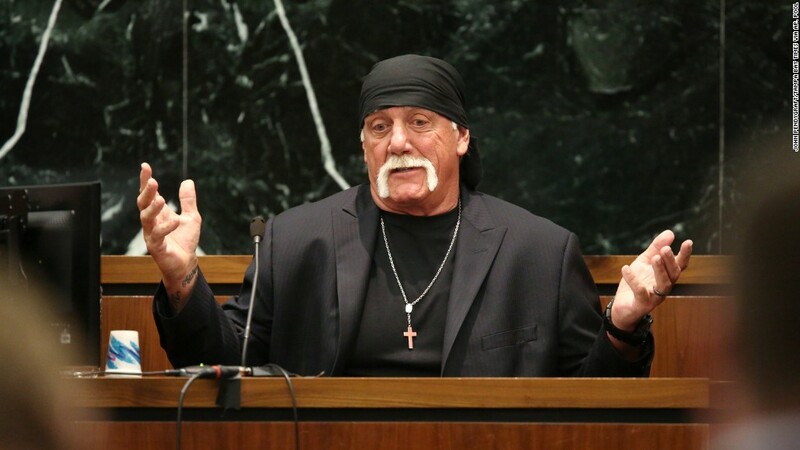 If the Times fails to get it tossed, it would be the latest blow in the courtroom for a news organization, dating back to Hulk Hogan's successful jury trial against Gawker last year. In June, ABC News' parent company Disney agreed to a record settlement of more than $177 million with Beef Products Inc., which sued the network over 2012 reports on the company's use of meat trimmings that have been referred to derisively as "pink slime." And Deadspin, which shared the same parent company as the now-shuttered Gawker.com, is facing a defamation lawsuit from gambling personality R.J. Bell, who is represented by Charles Harder, the attorney who helped wage Silicon Valley billionaire Peter Thiel's legal crusade against Gawker and others. Earlier this month, HBO was dealt a blow when a judge remanded a major coal company's lawsuit against the comedian John Oliver to a West Virginia court. That sets the stage for a potential jury trial on the state level -- something Gawker faced in Florida and ABC in South Dakota. "On the litigation side," Abrams said, "I can't think of a time in recent years when so many genuinely threatening, and in some cases genuinely destructive, cases have been brought." The New York Times is fighting back hard against Palin's claims of defamation. But unlike Gawker, ABC and Deadspin, which were steadfast in defending the coverage that prompted their lawsuits, the Times has admitted it screwed up in the June editorial. The newspaper published an editorial on the day of the shooting wrongly suggesting that Jared Lee Loughner, the man behind the 2011 mass shooting in Tucson, Arizona, which killed six people and left former Congresswoman Gabrielle Giffords severely hurt, was incited by an advertisement released by Palin's political action committee. In a correction issued the following day, the Times said that the "editorial incorrectly stated that a link existed between political incitement and the 2011 shooting of Representative Gabby Giffords." Palin is being represented by Ken Turkel and Shane Vogt, the Tampa-based attorneys who successfully tried Hulk Hogan's invasion of privacy lawsuit against Gawker last year. The Times, meanwhile, has retained Levine Sullivan Koch & Schulz, the Washington, D.C. firm that represented Gawker. The paper has said it intends to "defend the action vigorously," calling the error "agonizing" but expressing confidence that "the First Amendment protects publishers in these circumstances." The piece was originally written by Times editorial board member Elizabeth Williamson before it underwent substantial revisions by Times editorial page editor James Bennet. Williamson's original draft said that the 2011 massacre in Tucson and the June shooting at the congressional baseball practice were both "nurtured in a vile political climate." She wrote that in 2011 "it was the pro-gun right being criticized" over the advertisement from Palin's PAC, which "put Ms. Giffords and 19 other Democrats under stylized cross hairs." In fact, the ad placed only those Democrats' districts under the cross hairs -- but Williamson's version did not include the language that forms the basis of Palin's lawsuit. That came later in the editing process when Bennet wrote, "In 2011, when Jared Lee Loughner opened fire in a supermarket parking lot, grievously wounding Representative Gabby Giffords and killing six people, including a 9-year-old girl, the link to political incitement was clear. Before the shooting, Sarah Palin's political action committee circulated a map of targeted electoral districts that put Ms. Giffords and 19 other Democrats under stylized cross hairs." At a hearing last week, Bennet testified that he "did not intend to imply a causal link" between the ad and the Tucson shooting. He said he didn't know at the time whether Loughner had ever seen the ad, and he was unaware of any reporting showing there was no link between the shooter and political incitement. Bennet said he hadn't read an ABC News story that the editorial linked to or a June 14, 2017 New York Times article, both of which said explicitly that there was no connection between the ad and the Tucson shooting. Jane Kirtley, a media law professor at the University of Minnesota, said this could put Bennet and the Times on dicey ground. "I can't say it would be definitive, but it does raise the question of whether Bennet willfully avoided looking at information that might have contradicted his thesis, and if so, if that conduct violated journalistic standards," Kirtley told CNN in an email. A crucial question, Kirtley said, is whether "Bennet had serious doubts about the truth of the allegation." "If he did, then failing to investigate would be more problematic than if he did not," she said. Palin's lawyers seem to think they have him cornered on that point. "Actual malice is reasonably inferred when a publisher turns a blind-eye to the truth because it has a pre-determined theory it wants to advance," they wrote in their filing on Monday. Related: Could Sarah Palin beat The New York Times? Attorneys for the Times argued in their own brief this week that Palin's claim that Bennet "deliberately inserted a lie about her into the Editorial in order to profit from the use of her name and because The Times 'does not like Mrs Palin'...is flawed in both law and fact." Times lawyers also called for dismissal on the grounds that the 2011 advertisement referenced in the editorial was "circulated by a political action committee, not Mrs. Palin herself." "As a matter of law, she has no personal cause of action," they said.